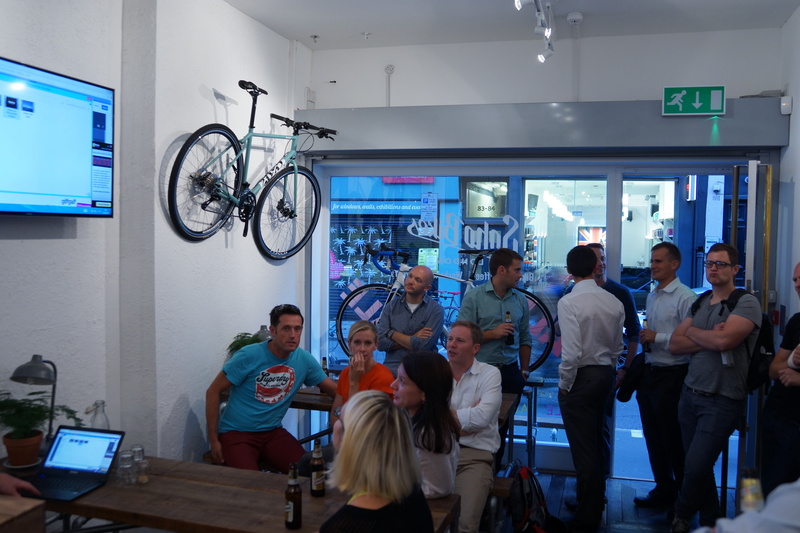 I received a text from a friend who was inviting me to a talk he was doing at Soho Bikes. Phil Shucksmith is someone a friend of mine had grown up with and had spent a lot of time riding with in the past. 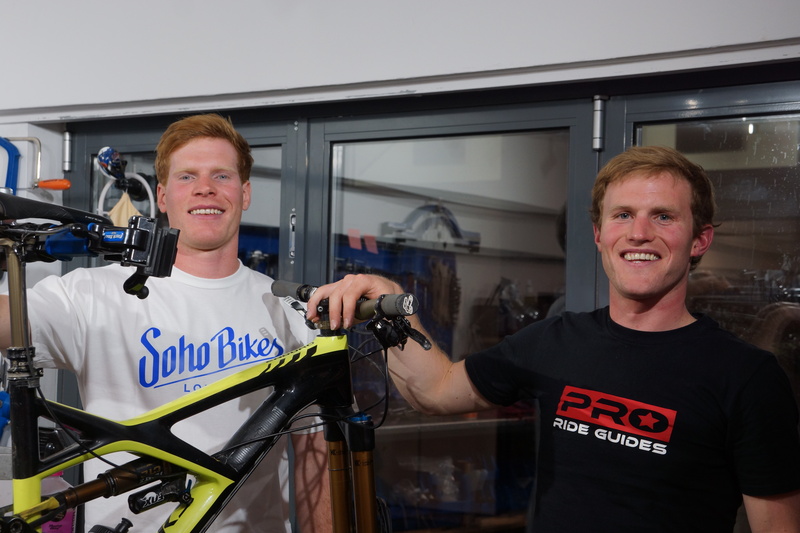 Phil and his brother Sam both ride for Pro Ride Guides and are doing really well in both the Enduro World series and UK Gravity Enduro series at the moment. 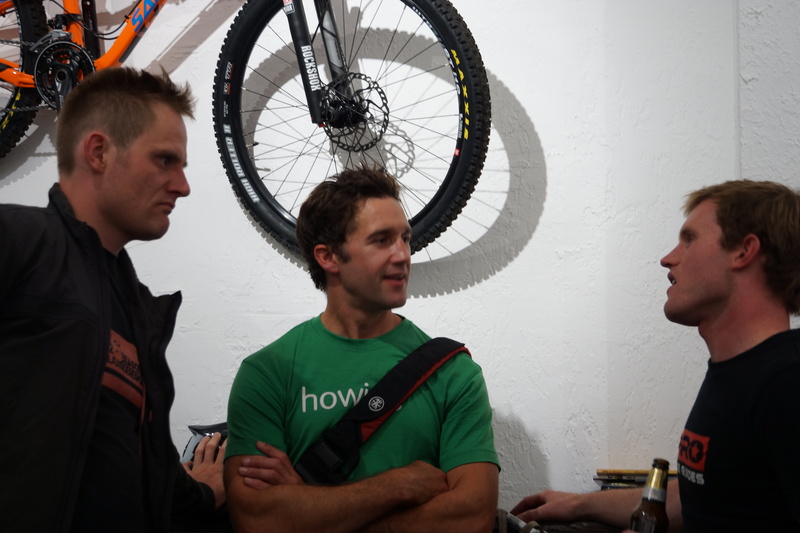 The evening was aimed as a bit of a chat on the new sport of ‘Enduro’ and chance to catch up with people and have a few beers. 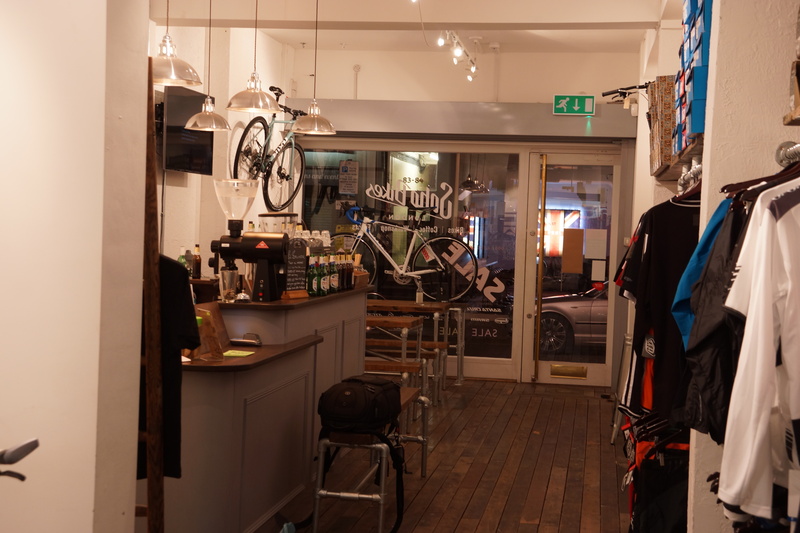 I hadn’t had a chance to get over to Soho Bikes when it was opened so this was another reason to pop on the tube and go visit. There was a good turn out and a nice relaxed vibe to the evening. Phil showed a few videos of his experiences in the race season so far and talked about trail riding and how the race format now called Enduro works. After the talk there was chance to ask questions which there were plenty. 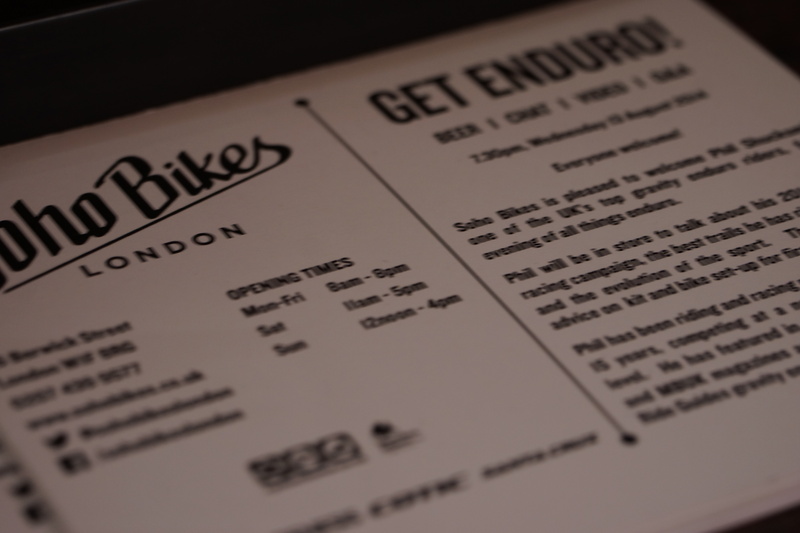 Everything from race preparation to the dreaded wheel size questions were covered. Phil and his brother Sam both ride 29″ wheels out of choice…… I might give them a go one day but to me they still look wrong! After an hour or so Phil finished up and then there was a chance to mingle and have a look around. It was nice to chat with like minded people and the free beer helped too! Looking around the shop I was impressed. I like what they have done with it. 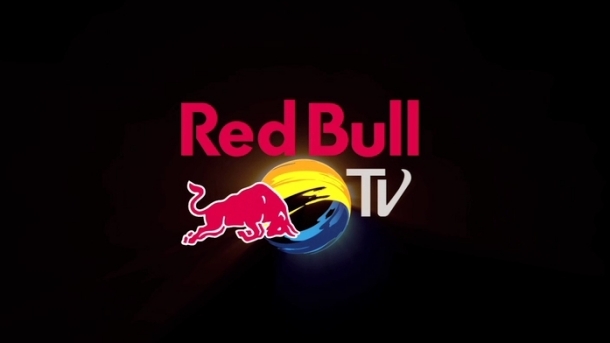 The design is nice and there is a spacious feel with enough product and stock to keep you entertained. 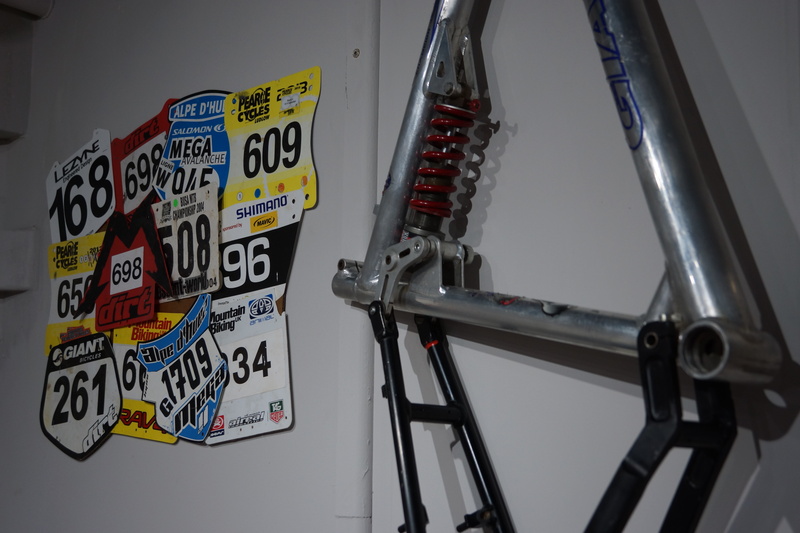 A visit downstairs to the toilet revealed a basement room filled with Santa Cruz carbon stock… very nice. 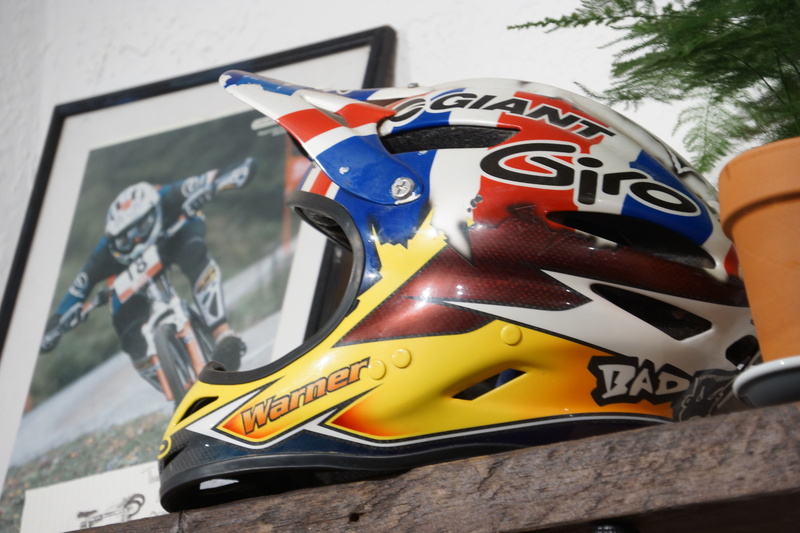 Dotted around the shop there are also items from Rob Warners past career which is a nice touch and interesting to look at. 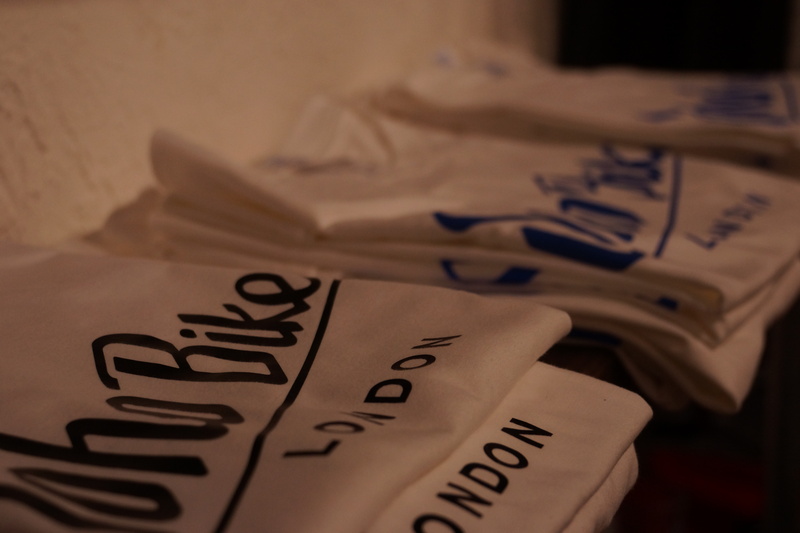 I couldn’t resist a purchase in the end and came away with the Soho Bikes T Shirt…. now I know why there was free beer. At least I didn’t get the credit card out and buy a Nomad. 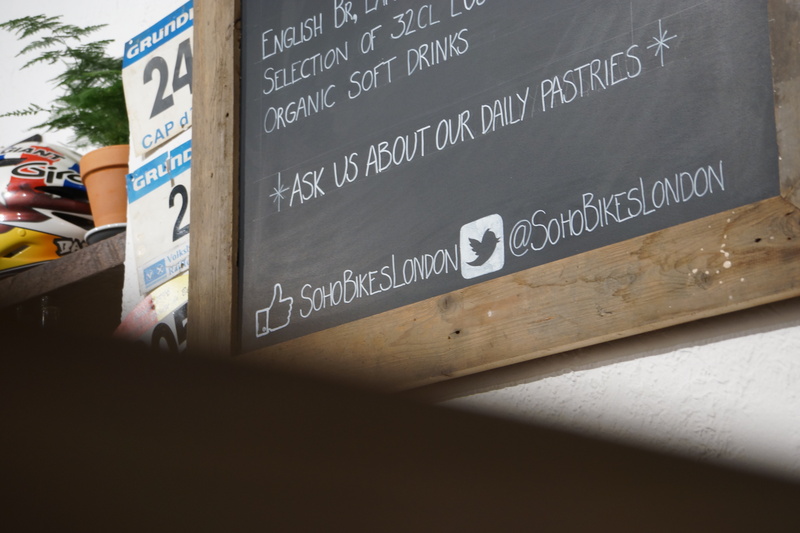 For future events at Soho Bike I would highly recommend a visit. The evenings are really relaxed and its nice to meet so many like minded people in the city of London. Thanks go to the staff too who made the evening flow without a hitch.